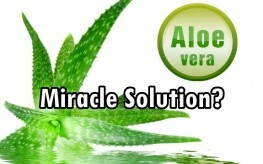 Did You Know Aloe Vera Offers Miracle Solutions for Serious Diseases? Out of 240 species of Aloe, only three or four of them offer significant, powerful medicinal properties. All the others commercially available are useful for digestive and skin irritations, including burns. Aloe vera barbadenis is one of the more medicinally powerful. Another is the Aloe arborescense plant, which studies have shown is even more powerful than other Aloe Vera leaves, including the barbedenis variety. Both of these are available in organic whole leaf juices. Whole leaf Aloe arborescence juice is what Franciscan Friar Romano Zago used to treat cancers in his Brazilian diocese. Father Zago wrote papers during the 1980s on the Aloe solution for cancer that he had learned from native villagers that he used clinically. The arborescense variety was indigenous to Brazil, but is cultivated and available elsewhere. Zago gave his blessing to an American company that promised to remain faithful to his original plant recipe. During the 1980s decade of peak AIDS terror, trials were conducted among AIDS patients in Belgium and the USA. where patients would drink five ounces of whole leaf Aloe vera barbedenis juice four times daily. They discovered rapid dramatic improvements with or without AZT, the pharmaceutical prescribed for AIDS patients which sometimes results in death. One AIDS patient had also been diagnosed with liver cancer so horrific he was given less than a month to live. Within a year of drinking the juice, his AIDS symptoms were completely gone and there were no more tumors in his liver. His doctors told him there was no healing event such as his in the medical literature. A doctor involved with one of the 1980s AIDS trials, pathologist H. Reginald McDaniel MD, was at first skeptical and reluctant to lend his expertise. But after contracting viral pneumonia that wasn’t responding to conventional therapy, he requested a “couple of cases” for himself. He was completely treated in days. Soon after his quick and complete viral pneumonia recovery, he started using Aloe vera with his patients, and has had tremendous results even with cancer cases. Some object to whole leaf versions of Aloe vera juice. There are filleted versions that are effective as supplements for overall health, but the phyonutrients in the leaves are considered the miracle workers for serious diseases. The reason you haven’t heard about these dramatic health improvements from Aloe vera is that they are hidden from public awareness. The Medical Mafia wants to perpetuate it’s toxic, expensive treatments to ensure constant sick care and “research” revenue. A frightening example of suppressing a non-toxic, inexpensive Aloe vera based treatment occurred in Tampa, Florida late 2001. Research physician Ivan Danhof MD was in the process of obtaining an investigative new drug status (IND) legally from the FDA with Aloe vera extracts. His nutritional clinic was using Aloe extracts with IVs or injections. I use aloe gel drink by forever living. Its unbelievable how much my brain and body energy has increased. This is 97% bardadenis and it’s by far the best on the market. They do a whole range of body products; make up; diet suppliments; fitness suppliments even household cleaning products. Be careful when purchasing aloe. Lily of the Desert contains carrageenan. Probably others do, as well. Read ingredients before purchasing. Funny, I use Lily of the Desert whole leaf juice and have been using it for years and I do not see where it says carrageenan is used at all.